Great read! Music and second chances. 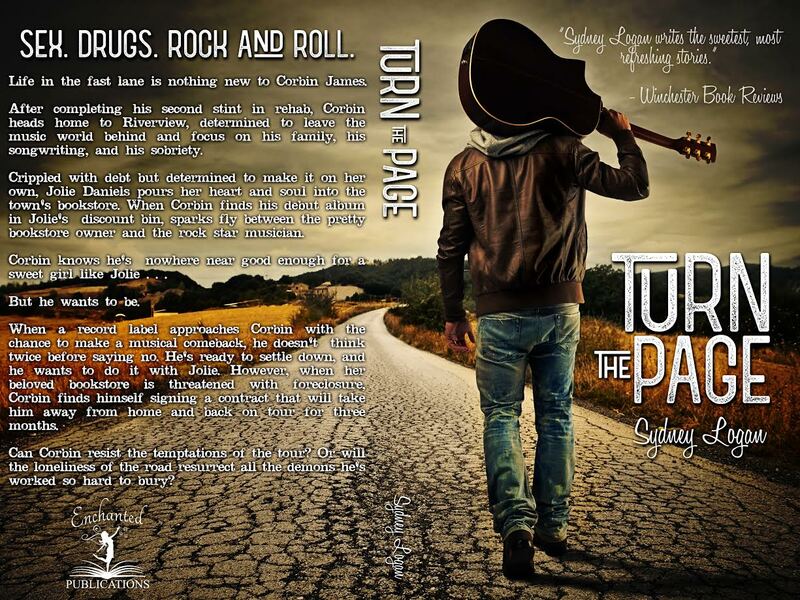 Corbin has come home after a stint in rehab (again) and realizes that what didn’t matter when growing up matters now. Giving up his singing career to just write songs and be sober is what Corbin is striving for now a days. Jolie is the bookstore owner in town that Corbin becomes interested in until she becomes his boss. They keep it professional and become friends until the attraction becomes more than they can deny. 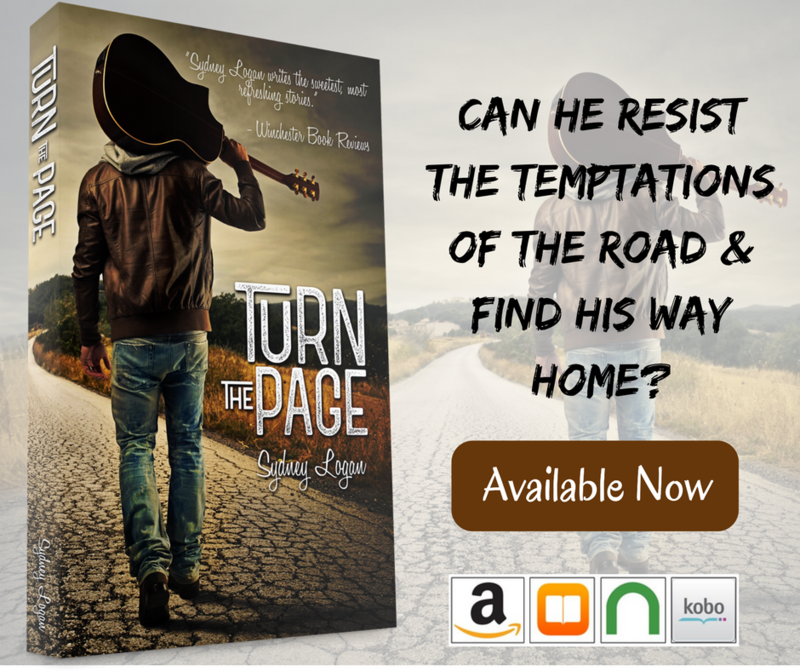 Then Jolie’s debt comes calling and Corbin wants to save her, but will temptation of being on the road tempt him or is Jolie enough? 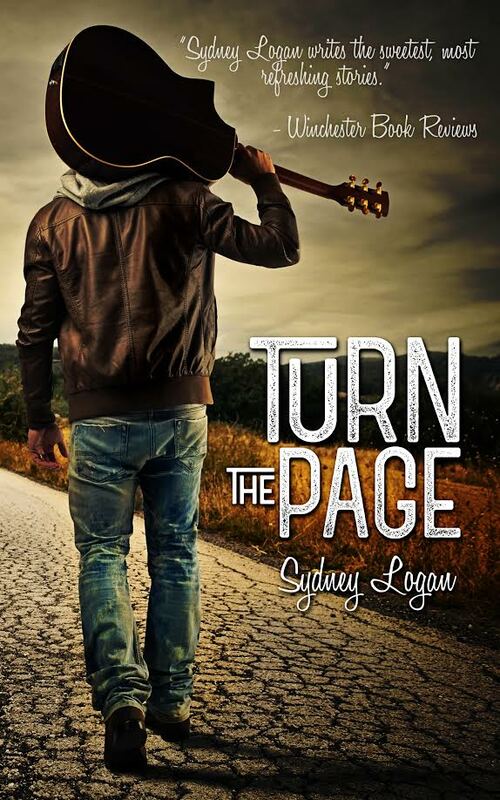 Turn the Page is a love story that brings two people together to see if turning the page for a new life is possible for Corbin and that is what Sydney accomplished with this one. 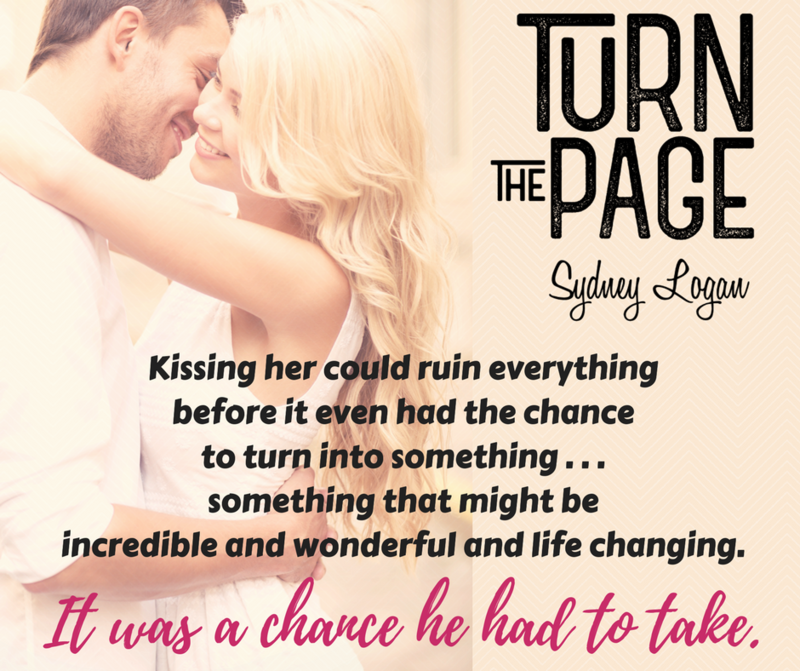 This story is filled with laughter and some tears but you will be hooked. The journey of these two is with it’s up and downs but will have you smiling with tears none the less. I enjoyed the journey of Corbin and Jolie and I hope you will too. 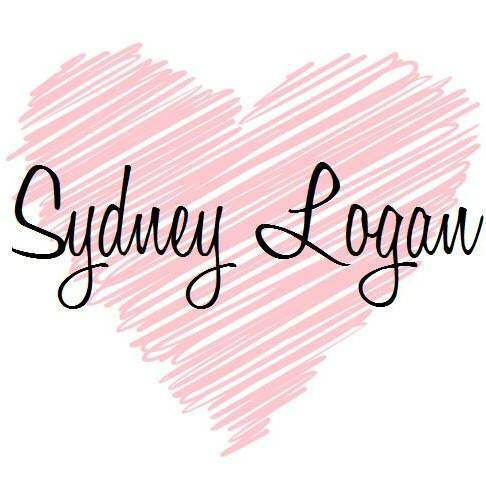 Sydney wrote with both characters point of view (my favorite) so you can understand where each character is coming from and why. The story flows with the emotions of each main character including the others characters as well. 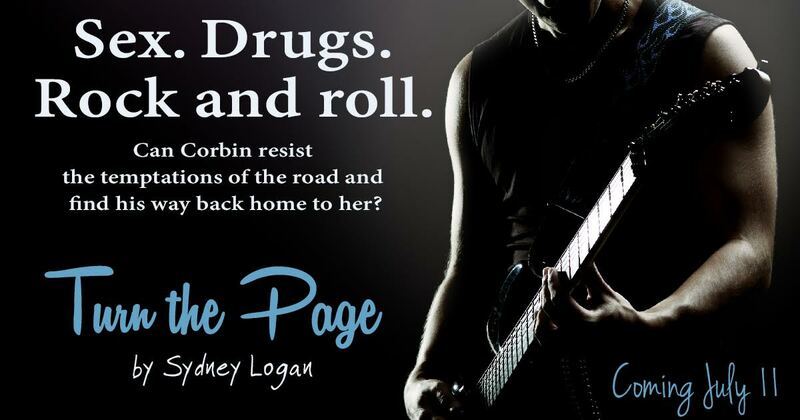 Corbin and Jolie are definitely soul mates, considering that when something bad is happening to Jolie while Corbin is on the road he knows and calls for someone to check on Jolie. That there is the definition I think of soul mates when one can feel the other in danger. 5 Stars!